Well, it’s week 3 of me being in Sydney and I’ve been going through the dip. The part between when everything is new and novel to when you actually get something worth showing. Talking about something worth showing. Here’s a manually placed version of the RaVis explorer tree view which we are using for the Films on the Fly Nodemap viewer. In this case it’s my version of what I’d like to see. What I call a ‘Story Timeline’ view. Unfortunately the software doesn’t work that way. Yet. 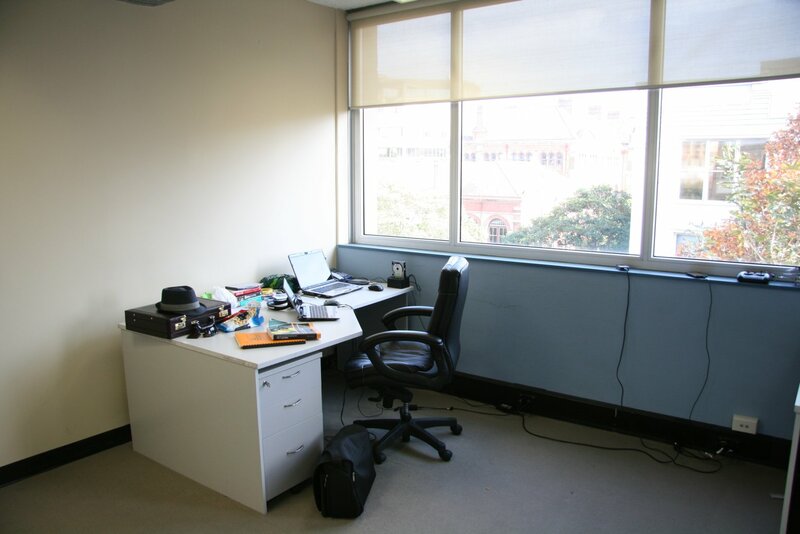 The first week in Sydney was about finding my feet, the second was getting over my cold/hayfeaver and moving into David’s place whilst transitioning to my natural state. That of being a night owl. During the past week at least 3 of the nights I’ve not gone to bed until 7am. The earliest night being about 3am. I’m also developing callouses on my hand from carrying my briefcase around everywhere. If it’s not that then I’m walking around with plastic shopping bags. Sydney is weird. Well, it’s at least different in a number of ways from Adelaide. Their bins being the most obvious difference, but their transport system is more subtly different. It’s certainly not as well integrated as the one in S.A. No Google Maps integration, very few bus timetables you can take with you and basically no train timetables (but they usually come within 10mins). 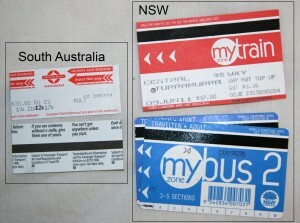 Instead of having multi-trip ticket where you can use the bus or train up to ten times and when you use the ticket you can re-use it on any other public transport within 2 hours, in Sydney you need different tickets for the train (which are split into a number of zones) and also different tickets for the bus service, which also has different zones. This leaves me with 3 multi-use tickets. A train and two bus tickets. The annoying bit is that the train tickets are multi-day passes, not multi-trip passes. Whilst the bus tickets are multi-trip tickets and you can use them up to 10 times, I had a 1 week train ticket. This caused me lots of confusion as when the ticket expired and it wouldn’t let me through the turnstile. The turnstile machine simply said there was an error and to see the attendant. I went to see the attendant, but as I was holding a briefcase and a bag and they man the wide berth laneway, when I waved my ticket at them they just nodded and pushed me through, with 2 mothers pushing prams and a guy with a musical instrument behind me. The next time my ticket failed I had to almost forcefully explain that my ticket doesn’t work. Only after repeated prodding from me did the attendant lady actually try it a couple of times, look at the ticket, then point out it was expired. Suddenly a light went on in my head. I didn’t have a ticket capable of ‘10 train trips‘, instead it was capable of 7 days worth of travel. Doh! Anyway because of all this it’s not really worth showing to anyone yet. Which means I can’t get excited by people looking at it and going ‘ah ha’ with understanding. Also, whenever I try and work, I end up getting very distracted. After working on something for a while I’ll need a break, as does anyone. But I’ll jump onto Facebook, open up a bunch of links, start watching an hour long video and 5 hours later I’ll feel bad because I’m not working. Either that or it’s now time to go. I’ve also been watching a lot of the Google IO 2011 content. So far about 10 hours out of the ~45hrs worth that I’ve downloaded. So. One of my greatest strengths is my greatest weakness. My hunger for knowledge, my passion for learning means that it is very hard for me to not want to watch something informative. Hence why I like documentaries but hate the news. I particularly love TED talks. I’ve watched over 500 of them and agree; they are Ideas Worth Spreading. There I was again, getting distracted. Setting up something on the other laptop, waiting for my food to cook and missing my girlfriend. I was feeling, not depressed, but burnt out and exhausted. But, I ate dinner, called my girlfriend and now I’m starting to feel better. To feel happier. Despite it being night, cloudy and dark, I feel like the world is brighter. Like the screen brightness has just been turned up. So I finish off my call out for a Graphic/Web designer and some other emails, but as I didn’t go to sleep last night until after the sun came up, and I didn’t get to the office until 6pm, it’s now past half past Midnight. I race to the train station for no use. The trains stopped a while ago. Thankfully there’s a late night bus service. I spend 15mins walking to Town Hall, realise I have to wait on the other side of the road, next to the smallest, crappiest bus stop sign I’ve seen. The bus finally comes at 1:30am. I try to do some programming but the bus driver doesn’t know anything about gliding. They are either accelerating, braking, or going around corners. I start to feel sick and have to pack the laptop away. Thankfully I made it to Turramurra and found a taxi driver to drive me to David’s place as I didn’t want to spend 45mins walking home with my dark brown leather suitcase and blue hat (with white chequered stripe). 2 days pass since I did the graphic designer callout and I still haven’t received a response. I’m contemplating making up a poster and plastering it around UTS (University of Technology, Sydney). Alternatively when David Zwolski’s got some spare time I’ll utilise his skills. It’s not that I can’t do design work, it’s that I know it’s not my strength, it’s hard to switch between programming and design, but importantly, it’s because I want to bring someone else into the project. Get their perspective. Look at their face as they realise all the possibilities and opportunities. 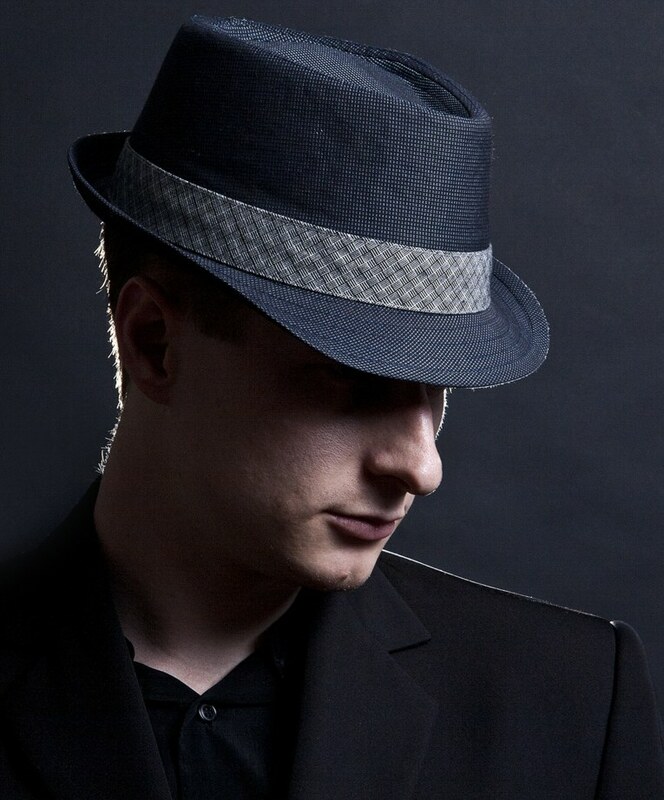 Because of the information intense nature of the work I need someone I can physically meet with and spend time with so we can brainstorm various iterations. I am putting $1,000 of my own money towards the project. $500 for a designer, who’ll hopefully help me create some example layouts for some of the Multipath, Choose-Your-Own-Adventure and also the RPG style interactive video interfaces that I have in mind. If there’s time I’d also like some illustrations to help explain the concepts during demo day. Assuming the platform will actually be ready for pitching to potential investors/the public. The other $500 goes towards Google Adwords advertising and some of the other stuff (like MailChimp mailing lists) for testing the landing pages. The idea is to try and determine what people are most likely to be interested in and which features to aim for first to gain traction. 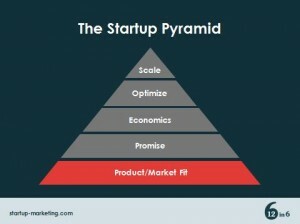 To achieve a great product-market-fit. The problem with doing the above is that I’m already stretching my financial resources pretty thin. I’ve got maybe $5.5K to last me the entire 3 months I’m in Sydney. This includes food, rent/utilities, transport and those annoying things like paying mobile phone bill, minimum credit card repayment costs, server costs and all that jazz. That $5.5K is made up of my measly personal savings (I’ve been pumping pretty much everything I can into the company for the last 2 years); my last payment from ANAT, which was basically double my normal pay as it included my accrued annual leave (so ~$2k); plus up to $3K I can take out in a new credit card I recently received (just before I stopped working at ANAT). 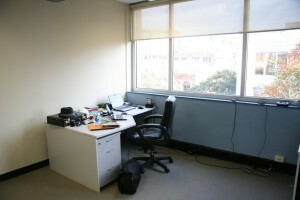 I’m trying to use lean startup techniques. But even then, I’m trying to do something that even web startup incubators like Pollenizer wouldn’t expect to do for less than $150K. When I get back to Adelaide I’m going to have pretty much no money, but hopefully enough of a platform that we can show it off to people so they understand what it is and get them excited about all the possibilities of what it could be. The reason why focus is important (and I need more of it) is because otherwise I’ll fail. It’s pretty much my whole reason for coming to Sydney (I’ve got a nice office back in Adelaide, but when there, I make films, not program). Certain types of failures are good, you learn from them. But failing because I was watching YouTube video’s is not the type of failure we are talking about. Who’s talking about it? Mick Liubinskas of POLLENIZER he’s pretty much the reason I came to Sydney, so if you’ve read this far please watch his short presentation. 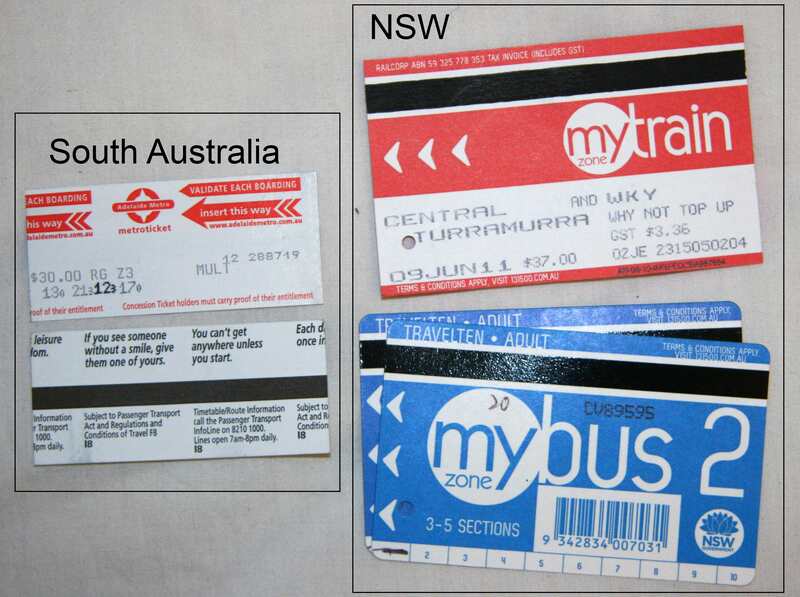 I’ve been made aware that in Sydney you can actually buy a multi-zone, 7day combined bus and train ticket, but it costs $70 compared to ~$42 for a week long standard train ticket.